From one working mom to another, I know how difficult it can be to find the balance between your career and your family, friends, and fun! Sometimes, it feels like your job tries to take over everything else. Other times, challenges at home might be keeping you from doing your best work. What is a busy woman to do? In today’s podcast, I want to help you focus on what really matters in life, so you can rock it at your career, and keep your sanity! It’s all about taking intentional steps to achieve balance, and it all starts with a simple shift in your mindset. Grab your notebook! You might want to jot a few of these lessons down. When you choose to put God first in your life, then you will find all the happiness, joy, and peace you are searching for. When you intentionally make God your top priority, He gives you all the care and grace you need to accomplish every goal. Today’s Scripture really put into perspective for me why we can find our rest and our peace in God. God knew that this man had been an invalid for such a long time! He had compassion, and he reached out and asked if this man wanted to change his life. God asks us this same question today. Do we want to get well? If yes is your answer, then it is time to practice some intentional decision-making! When it comes to making choices about your career, you must choose in a way that creates space in your life for peace. You always have a choice! I’m asking you three simple questions to get you started on your path to creating the career that will bring you the most joy and the most peace. 1. What would make your career life better for you? 2. What are your spiritual gifts? 3. How are you expanding yourself? Want to learn more about how these three questions can be your ticket to the work-life balance you’ve always wanted? Listen in to this week’s episode! If you are ready to dive into even more tools and strategies to finding balance in your life, start your trial of a Your Life Rocks Membership today. All the lessons learned in today’s episode are available to you in worksheet form when you sign up for a membership. It might just change your life. What’s the payoff when we do find this intentional, peaceful career we’ve always dreamed of? We become an amazing example for our kids! 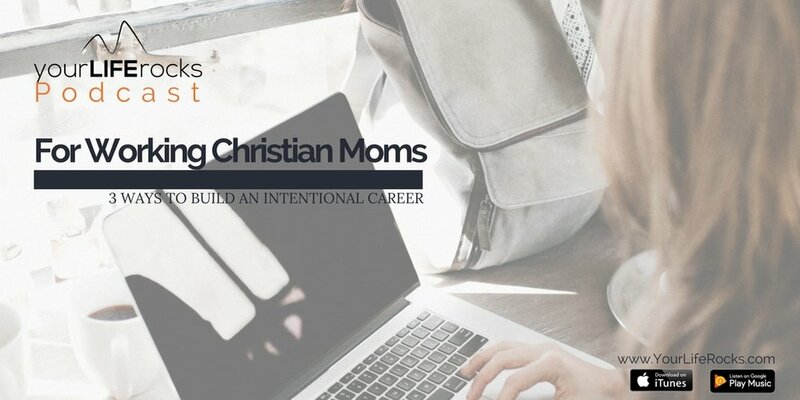 When the little ones see that Mom has found a way to serve God in her career, they will follow your example and become adults who follow God as well. It is a beautiful image that is worth any number of hard decisions. Whatever you decide, make sure you trust in God’s timing and his will! He will show you how to find happiness in Him.